Grammy Award-nominated, multi-platinum, singer/songwriter Carly Rae Jepsen—who has sold more than 20 million singles worldwide—will perform a free concert aboard Carnival Splendor in February 2018 as part of the Carnival LIVE Concert Series. While the concert is a departure from previous Carnival LIVE performances—in that it is free and open to all guests sailing on Carnival Splendor’s February 17, 2018, seven-day voyage—it continues the line’s mission of bringing the best in live entertainment to the seas and providing guests an opportunity to enjoy captivating performances by top artists in a memorable setting. The concert will take place on Carnival Splendor’s Lido Deck February 18 while the ship is at sea during a week-long Mexican Riviera cruise that operates round-trip from Long Beach, California. The voyage features a day-long call at Puerto Vallarta and two days at Cabo San Lucas. Jepsen broke onto the music scene in 2012 with her major label debut Kiss that included the smash hit “Call Me Maybe.” This song climbed to #1 on the iTunes Singles charts in more than 47 countries and earned her Grammy Award nominations for Best Pop Solo Performance and Song of the Year. Jepsen also starred as the iconic Pink Lady, "Frenchy," in FOX's four-time Emmy award-winning musical GREASE: LIVE. Most recently, she voiced the character of Odette in the animated movie “LEAP!" “LEAP!” featured Jepsen’s song “Cut To The Feeling,” which has been hailed by critics as a top song of 2017 and showing up on year-end lists for Rolling Stone, Pitchfork, Billboard, Noisey and more. Jepsen joins an impressive lineup of Carnival LIVE artists who run the gamut of musical genres, from rock, country, R&B and pop, as well as some of the biggest names in comedy. Previous Carnival LIVE artists include music superstars Tim McGraw and Carrie Underwood and comedians Jim Gaffigan and Chris Tucker. 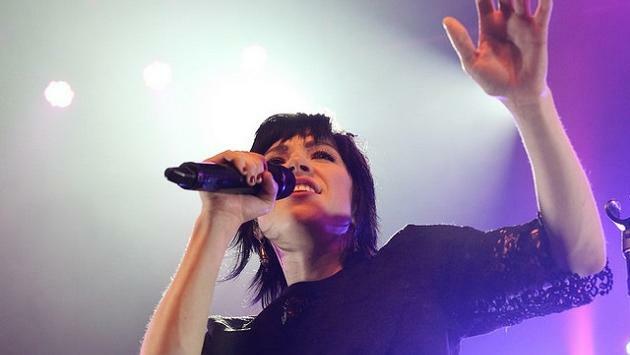 “While I’ve performed all over the world and on Broadway, I’ve never performed on a cruise ship before, and I’m really looking forward to a night with my fans in what promises to be a unique venue for an incredible night,” Jepsen said. “We’re delighted to have Carly bring her signature brand of pop music to guests sailing aboard Carnival Splendor,” said Sarah Beth Reno, Carnival’s vice president of entertainment. “A free open-air concert on Lido Deck is an exciting new twist for Carnival LIVE, and we can’t wait for our guests to experience this one-of-a-kind entertainment concept in an entirely new setting,” she added.